If there is something Microsoft usually neglects in its software – it is search. Windows registry, being one of more confusing OS parts, could surely use precise and efficient search mechanism. 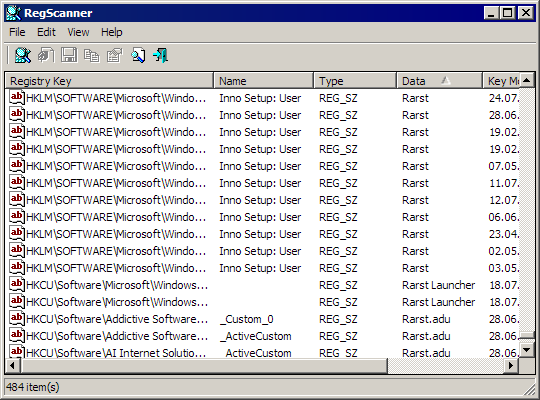 RegScanner (another one of fine Nirsoft utilities) is exactly that – search engine for Windows native registry editor. 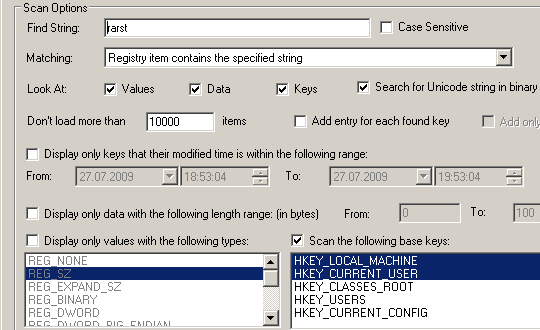 RegScanner start with search dialog that offers very extensive options to precisely define what and in which constraints should be searched for. Actual search results are presented in Nirsoft-typical interface with multiply columns. Clicking any result opens native registry editor and takes you to that key. hotkey and command line option to open key from clipboard in registry editor. Only thing that could be better if app offered at least basic editing capabilities on top of pure search. Relying on native editor can bite in some situations, like when malware blocks it with executable hijack. Excellent solution for searching and editing registry, but probably on small scale. For going all out dedicated editor might be a better fit. Completely portable as usual from Nirsoft.